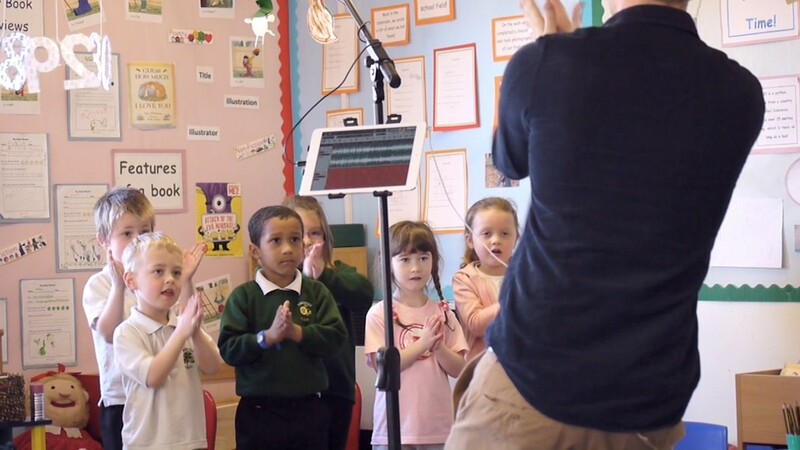 When Linchfield Community Primary School teamed up with producer/songwriter/educator Neil Johnston last month, the result was a resounding victory for music education. 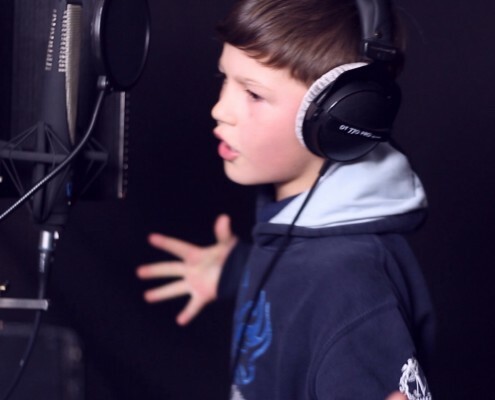 Neil’s company Store Van Music runs music workshops in schools across the globe, and his latest project with this Peterborough, England school, the triumphant single “We Are the Young”, has quickly risen to the top of the iTunes UK Children’s chart. 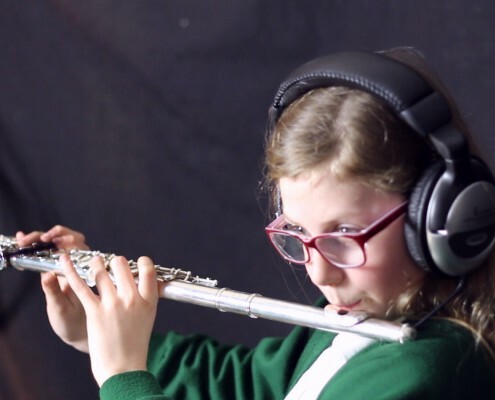 For the school-wide project, Neil and his Store Van Music partner Brad Mair converted a school meeting room into a full-fledged recording studio. 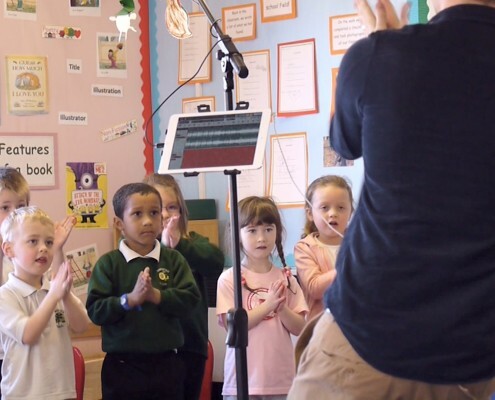 In just three days, all of the nearly 400 students at Linchfield Primary School contributed to the creation of “We Are the Young”, recording themselves singing and playing using Apogee products like MiC, JAM and Quartet in conjunction with iPads and Macs. 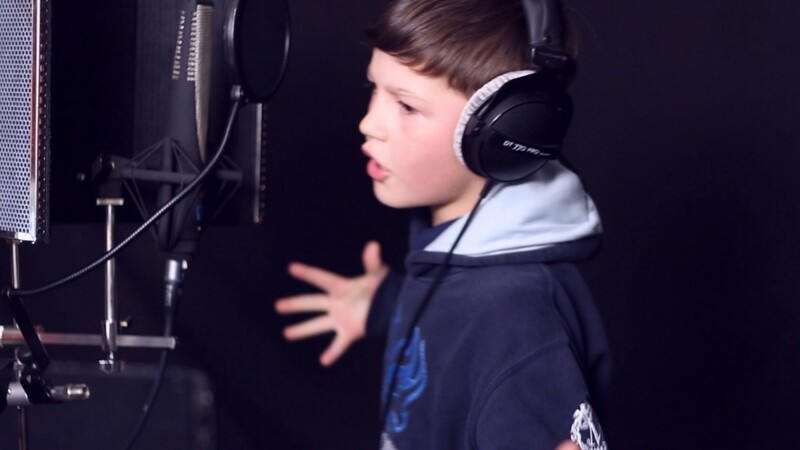 The children used JAM and MiC with iPad and the Auria/GarageBand apps, while Neil also recorded tracks and mixed on a Mac with Logic Pro X. 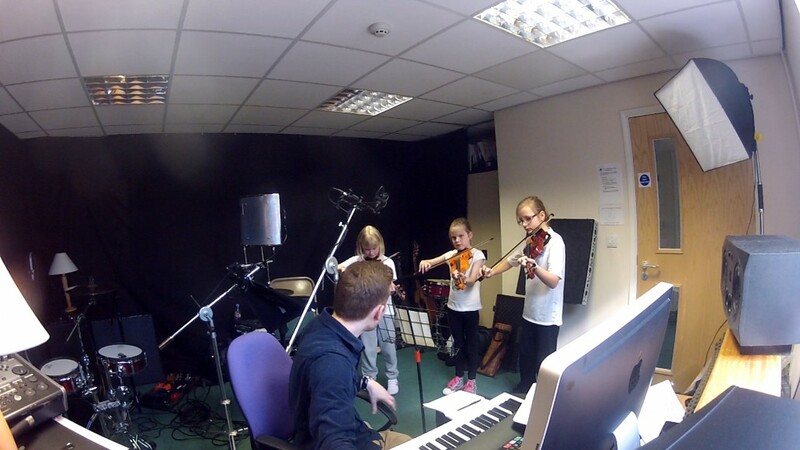 Throughout the process, the students were exposed to the inspiring potential of Apogee’s recording solutions for iOS/Mac and their ability to capture magic moments with ease and brilliant clarity. 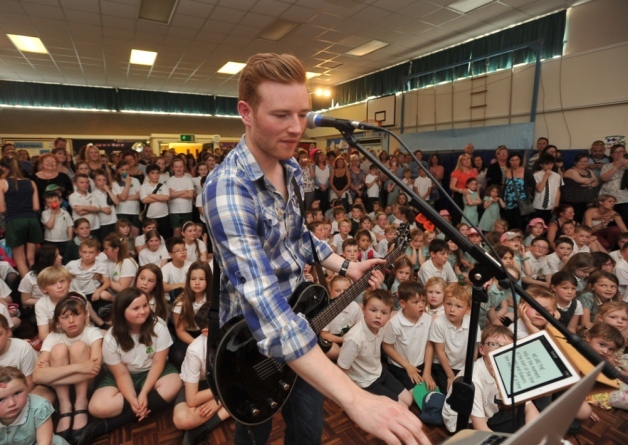 Apogee stands firmly by Neil’s side in support of the role of music education and creation in the classroom. 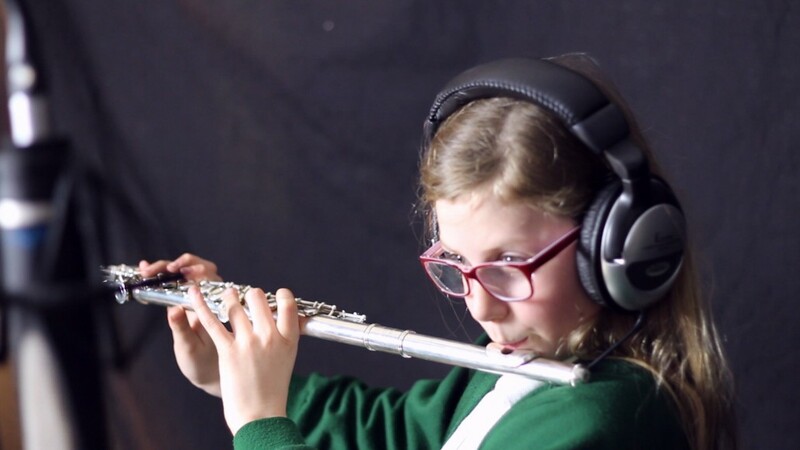 Indeed, the remarkable simplicity and unparalleled sound quality of Apogee’s products play a crucial role in furthering Neil’s mission to make music learning relevant and exciting again. The seamless integration of Apogee products with iPad/Mac and music creation apps allows for a tactile, intuitive experience in the classroom that furthers the educational possibilities in the field of music. 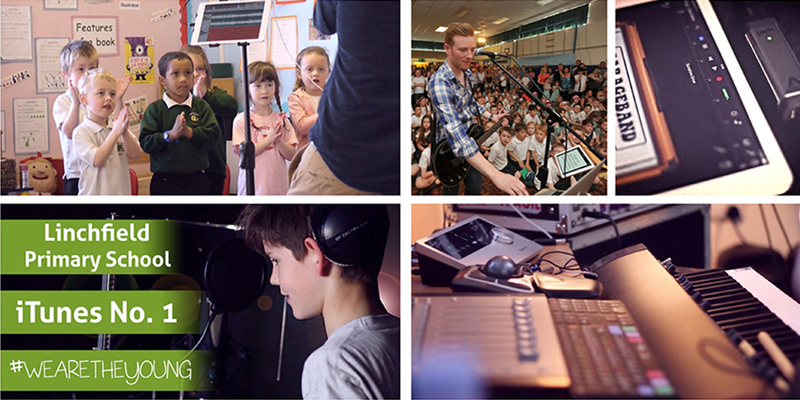 Upon completion of recording in Peterborough, Neil brought the remarkable performances of the Linchfield students to be mixed and mastered professionally in West Sussex. “We Are the Young” reached the top of the iTunes Children’s chart within an hour and half of its release on May 16, 2014. You can purchase the track on iTunes here. 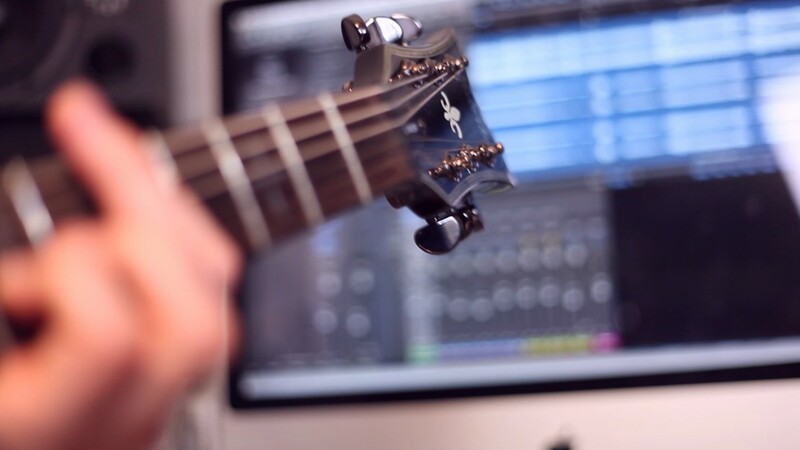 Apogee gear used in the making of "We Are the Young"
Apogee JAM Used for the emulated guitar tracks through GarageBand on an iPad Air. 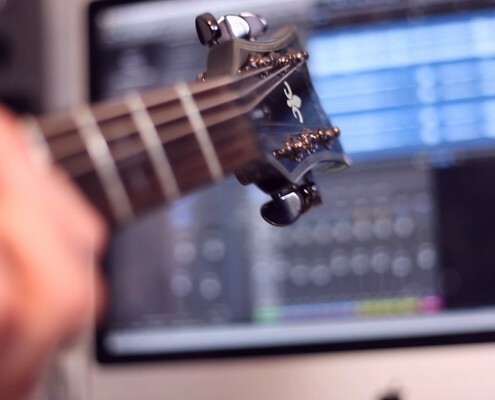 These guitar tracks were featured in the track alongside rhythm guitar tracks recorded via the Quartet using Se’s RNR1 Rupert Neve Mic on a Mesa Boogie Express Rig. 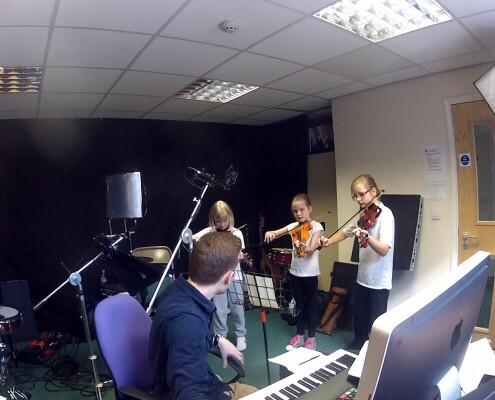 Apogee MiC Used to record remote instruments via the iPad app Auria – This was used for some Acoustic Guitar elements, as well as children singing in groups and clapping etc. 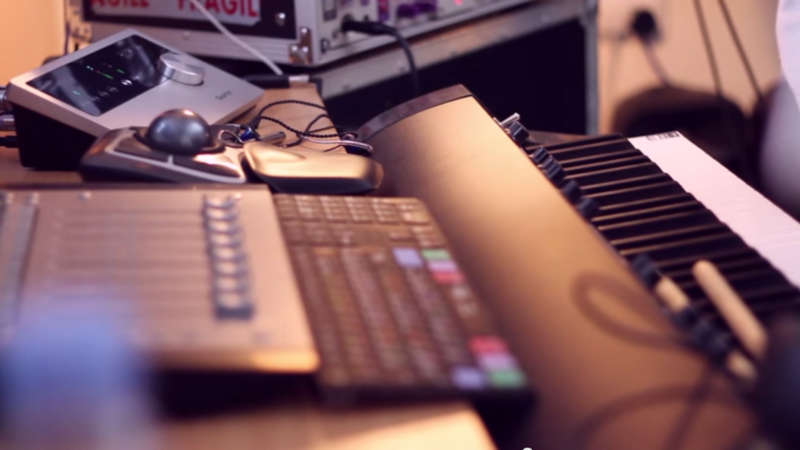 Used as the main interface for recording and mixing on Logic Pro X, with Adam monitors straight out of the Quartet. Neil and the Store Van Music crew also made use of the optical extension for another 8 channels. 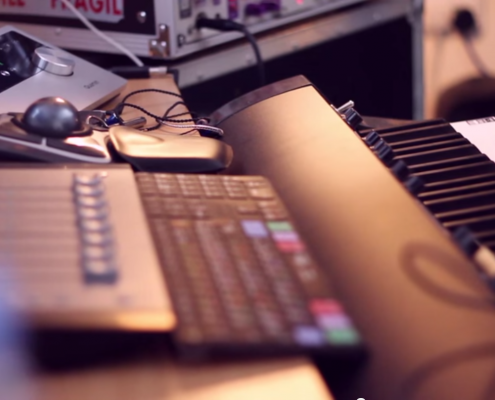 They also used the Quartet with an iPad Air on the Auria app.